Welcome to the Guinea Pig experiment, the experiment where we watch the entire journey of someone going from $0 to financial independence! In this experiment, we follow two different scenarios – one baseline scenario and one optimized scenario. The baseline scenario invests all savings into a taxable investment account and the optimized scenario utilizes some of the advanced tax-avoidance strategies I write about here. Comparing these two scenarios will allow us to see how many years earlier someone could retire if the strategies and tactics discussed on this site are applied in real life! 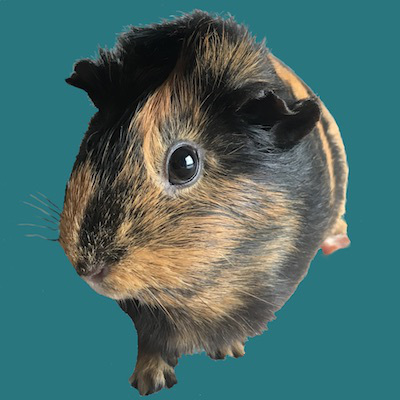 This page serves as the main hub for the experiment and will be kept up-to-date with the progress of the Guinea Pigs throughout their journeys. To read the past annual updates for the Guinea Pig series, visit the Archives page. Here are the FI Laboratory graphs for the two Guinea Pig scenarios, showing their progress from the start of the experiment (Jan 1st, 2014) to the most-recent update (Jan 1st, 2018). 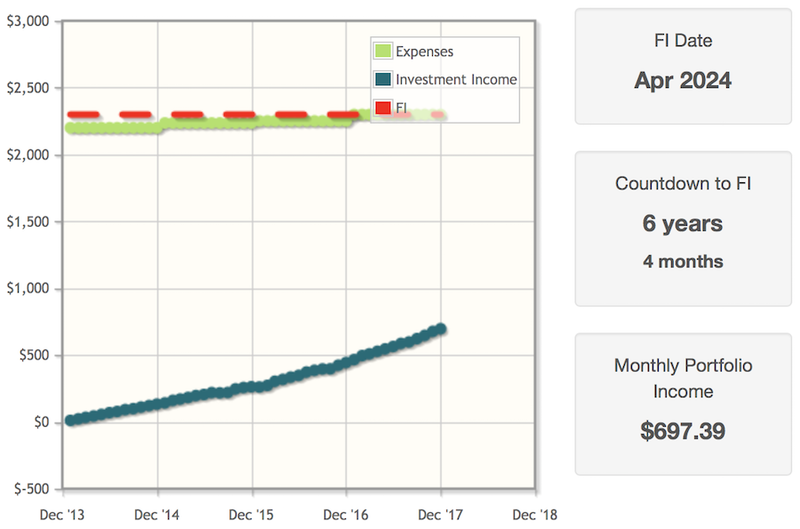 The FI Laboratory is a web application I created that allows you to easily chart your progress to financial independence, as recommended in the classic book on financial independence – Your Money or Your Life. If you haven’t started charting your own progress yet, sign up for a free Personal Capital account to automatically calculate your net worth, monthly spending, etc. and then plug those numbers into the FI Laboratory to see if you can keep up with the Guinea Pigs! To see all of the guinea pigs’ numbers (i.e. contributions, account balances, etc. ), check out the full spreadsheets here. Check back at the beginning of every month for the latest Guinea Pig numbers and graphs! 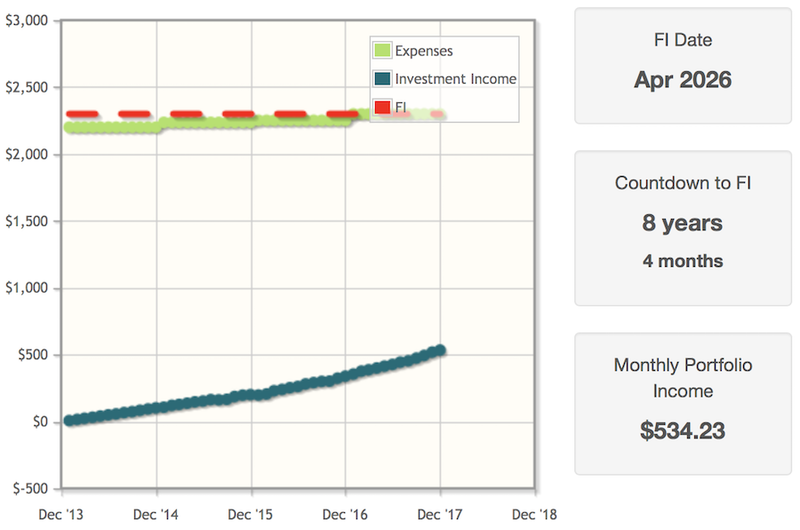 And if you haven’t already, sign up here for a free FI Laboratory account to start tracking your own progress to financial independence! I understand the frontload concept but how do you do it on a biweekly salary? The concept would be to put as much money as you can from your salary in the first few months towards the tax advantaged account. If you go through the experiments update, you would see that the optimized GP diverts his/ her salary to different accounts over the year. First it is HSA, than IRA and than 401K. If you are just starting, it’s understood that you don’t have that much spare cash lying around to front load in Jan. I don’t understand it… If the Market ALWAYS went up then I get it… BUT it does have a lot of short term fluctuations… 2 times now the cost basis for the market has been lower than it was the beginning of the year… So why would I want to dump it all in first part of the year… when if I hold it.. I get opportunities to buy at a lower cost basis later in the year? Of course I want to buy lower that is instant value is it not? You’re proposing that you can time the market, and you’ll know when the low points of the market are. How do you know Jan 1st is not the lowest point for the remainder of the year? If you front load every year, you’re really dollar cost averaging over a long period of time. No one knows if Jan 1st or any day will be a lowest or highest in any given year… but I can say with certainty that the market will experience a lot of volatility again in the current and coming future… using the volatility over the long haul allows for someone to take advantage of buying opportunities along the way. It seems prudent to me. The Guinea Pig series, more than anything else any other financial person has written, has helped me figure out how I can retire before the age of 60 (I’m 45 now) even though my 401(k) currently sits at a piddly $6K! I’m not a great numbers guy, and this process has always stymied me a bit. but seeing it all broken out like this, and especially seeing the difference between the two approaches, has been all I needed to put my own plan in place. I’ve spent the past couple of years downsizing my life, my monthly expenditures, and my desire for “things”. I’ll be 100% debt free by the end of the year. Starting in January 2016, I should be able to follow the Optimized plan almost to the letter (except for the darn state income taxes – but I have other advantages that make up for that – primarily a supplemental pension plan, and almost no transportation costs since I’m a telecommuter). I’m so excited to get started. It won’t be the “mega-early retirement” that many of the FI blogs espouse, but I’ll be able to retire somewhere in the 55-59 range – depending on a few variables that should be settled by the end of the year. Thanks again for the amazing knowledge you share here. More than a year late, but better late than never… good for you. I just wanted to say that I found this to be an inspiring post and I’m rooting for you. Hope things are going well. I was wondering the same thing, Robert! Our company does not have the option of the HSA and current salary would disqualify me from contributing into a traditional IRA after maxing out my 401K. Also, our 401k has limited mutual funds option, no VTI, and no dividends. Whereas the after tax contribution has so much choices as far as investments are concern. I am a dividend investor, long term holding, so I’m not sure that the optimize porforlio could really outperform a dividend growth porfolio that is contiously compounding with dividend reinvestment. Its true that the optimize will have the advantage of being able to invest the deferred tax, but is it sufficient to outperform with all the fees in the mutual fund and only able to invest in a fund that mimicks the s&p500. Is there any reason you chose to max out the 401k first last year, but the Traditional IRA first this year? Just for simplicity? I guess it doesn’t really matter since you’ll be maxing them all out, but in real life if you maxed the IRA first and then something came up that prevented you from maxing the 401k, you’d have a higher AGI and possibly more tax depending on your income. The GP’s income is known and isn’t high enough to worry about the IRA deduction being phased out (as long as all of this saving is happening, that is), but if it were unknown or high enough, you could screw yourself by not maxing the 401k first, right? If I started buying stocks/funds beginning of this year, I don’t see how my money is working for me since what I have contributed this year is less than the portfolio. Did I read the ‘contributions chart’ correctly, or am I not supposed to add one of the columns I listed above? 2) VTI share price has fluctuated over time. In this case it was highest (107-109) when Guinea Pig was frontloading IRA contributions at the start of 2015, and has since declined. So Guinea Pig’s 2015 IRA contributions have lost money over the course of the year. 2) We know that sometimes there is some loss from front loading, but over the long run it will wash out, Guinea Pig should help demonstrate this. If you had to choose between a maxing out a 403b or a 457b, which would you choose? My work offers 401a plans that I can’t contribute to, but I can choose one of the others to make contributions to but I’m not sure which to go with. Thanks! I would go with 457, since you can access that as soon as you quit your job. No need to wait until age 59.5. I see a 3%, raise in 2015, a 3.5% raise in 2016 and a 6% raise in 2017. How are you deciding the size of the Guinea Pig’s annual raises? It’s obviously tied to inflation somehow, but I was just wondering how specifically you are getting your numbers? The first two raises were based solely on expected nationwide average wage increases (see http://www.latimes.com/business/la-fi-raises-20160930-snap-story.html). This year was a bit different though because I imagined if I was in a job for over 2 years and yet only received meager ~3% raises each year, what would I do. Well I’d go in and demand more but I would probably only be given an extra 3% max (or at least that’s what happened during my own career). I was never able to negotiate a big raise until I actually tried to leave the job (then I would get offered the big 25%-50% bumps to entice me to stay on) but I would always start by asking anyway so I figured the Guinea Pigs should do the same. Front-loading tax-advantaged accounts like the HSA simply hadn’t occurred to me! Thanks for the insight. How about insurance cost? Is it assuming the employer pays all the cost? These days, fewer employers are willing to cover all insurance premium cost. I really enjoy seeing these updates. I’m a bit confused on much needs to be in the taxable account and much should be in the retirement account(s). If the yearly required income is $40,000, then I need to have $1,000,000 in my accounts. How much of that should be in taxable versus retirement? Your site is a great resource/ reference, Mad FI. Since both g. pigs have more than 10K, why have you chosen to stay in the higher expense ratio position rather than moving over to the Admiral VTSAX? VTI (the ETF version of the fund) has the same expense ratio as VTSAX (the mutual fund version – admiral shares). Just signed up for your website and think it is fabulous. i trust that i am not the typical client however, since I am 68 retired and have a good net worth. The reason for this post is that input various scenarios of monthly expenses of $8,000 3% growth, 4% withdrawal and different net worths of $4,000,000 and $3,000,000 which was great since it told me I am already financially independent. At 1,500,000 it told me I would never be financially lindependent. I can see taking a few more years, but NEVER? Seems odd. Why are we waiting for the “experiment” to finish when we can just backtrack the data of the fund years back? Love your posts tho madfientist I have learned a lot! I stepped away at 62, with pensions, military, state employee, and social security. I keep this phrase on my white board where ever I worked. “Your job is not supposed to be your life ambition, it should be a means to and end that allows you to not work and be funded to really live. Do what it takes to get there”.